Discussion in 'EarthLordPvP Announcements' started by Zalbus, Jul 4, 2018. You can also click on a name to view the inventory of that person after a duel, to see who had more potions or gear left. Here is a full changelog of ALL features that have been added to the duels system. 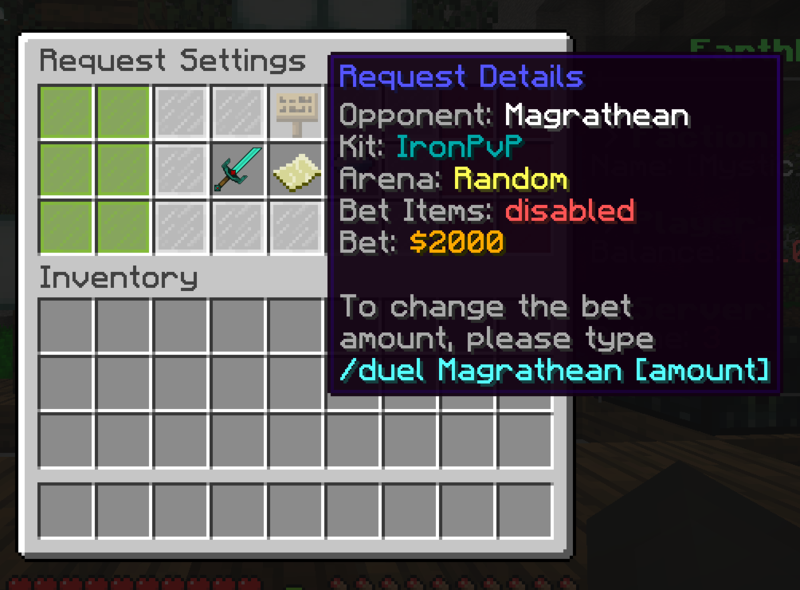 McMMo will be disabled in duels. You will no longer loose power in duels. All dupe glitches within duels have been fixed. And much more for you to discover! If you have any suggestions or bug reports, please tell a staff member!